RF dielectric drying machines are frequently used in the paper and printing industries to enable the drying of water based adhesives, emulsions and coatings. The instantaneous heating, with no warm up time required, enables high production speeds to be achieved, increasing productivity. The selective drying and moisture profiling characteristic of RF dielectric processes ensure that no stress or damage is caused to the paper substrate from overheating. 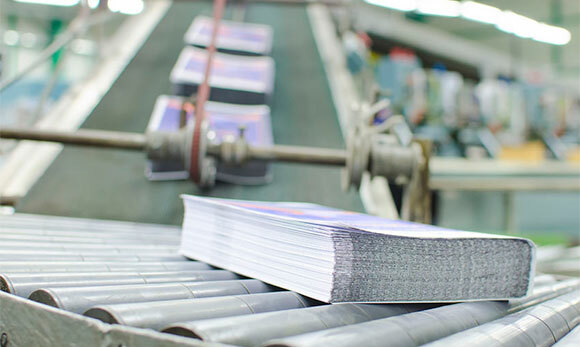 Typical applications include continuous web finishing, sheet web finishing and book binding. Our engineers have extensive experience of working with RF heating and drying machines in the printing and paper industries. To discuss how Red8RF can improve the productivity of your manufacturing process Contact Us today.